Now it entirely depends upon you whether you wish the functioning of the F12 tool in your browser or not. The present OS has now given the user the liberty to either allow or decline the F12 developer tool in its inbuilt browser. The control to this tool lies in the Policy Settings of the Group Policy Editor. 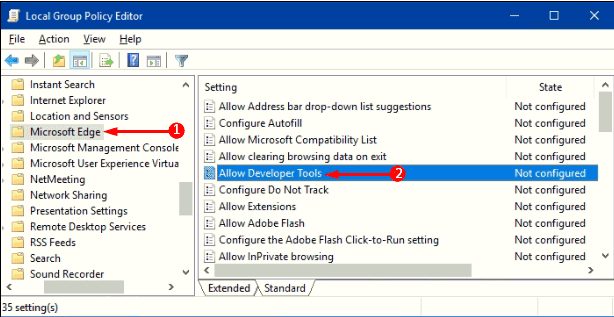 Just a simple click here will let you disable the services of the F12 developer tool. The developer tools actually showcase the series of debugging and authoring mode inbuilt for all the modern browsers.